Some of the most difficult objects to take pictures of in digital photography are ones that are a light source in your general frame, which is part of the reason it can be difficult to photography the moon at night. During the winter you may notice that a nice frost will form on your window, which is a beautiful natural icon of the season. A photograph of this sight is a great piece, but getting the camera just right to capture that image can be difficult. Here are some tips on how to photograph frost on window panes. 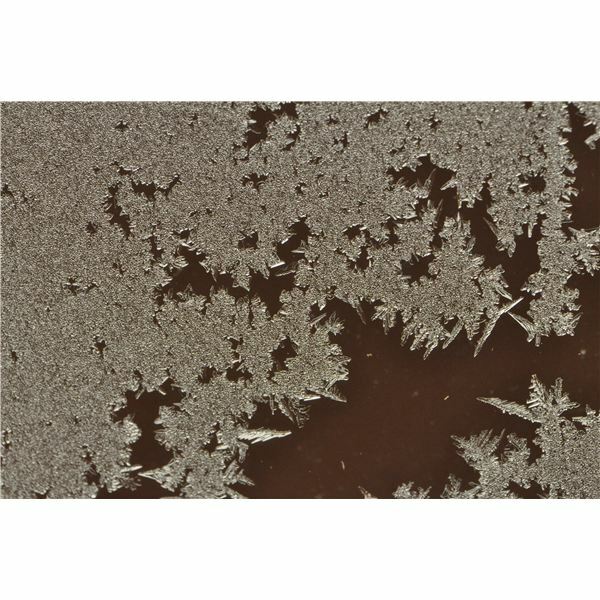 If you are trying to figure out how to photograph frost on a window then you will need to first identify the fact that the image is essentially of a clear surface being backlit. This means that the real image is of the direct light coming from that window, through which you will be able to see the frost. To do this you want to make sure that there is nothing that will complete with the clean light and appearance of the window surface, which is what is necessary to actually see the frost on the window. To do this you need to start off by removing the flash as this will reflect on the window's surface and compete with it as a light source. You are going to have to really determine your exposure settings based on the intensity of the light coming through the window. You will have to keep in mind that you want to lower the exposure enough so as not to blow out the window and maintain the appearance of the frost, but you will still want to make sure that you do not darken the area around it too much. You may close the aperture or raise the shutter speed enough so that the window is properly exposed, but this may leave the surrounding windowpane almost black. You can avoid this by going close up on the window that you are photographing, forgoing the surrounding wall area altogether. When you are considering how to photograph frost on a window you have to remember that the window itself is the focal point of the digital image, which may be different than other types of window photography. You will likely be able to see through the window to objects outside, but you want to make sure that your window with the frost remains focused on while the areas behind it continue to be soft. The more you keep the window segment containing the frost in focus against a completely soft background scene the more it will be a well realized photograph of frost, and the best way you can do this is to open the aperture all the way up so you can get a shallow depth of field. You may want to then bring up the shutter speed to get the correct exposure, and it will also give you the freedom to avoid a tripod. If you want to really just get a clear image of the frost on the window then you want to get in much closer than you would with other types of window photography. To do this you may want to use a macrofocus lens so that you can get a level of detail on the frost that you would not get from another lens. If you want to do this then you may want to come at the frost from an angle instead of strait on.